Leicester City recorded their maiden victory of the 2017/18 Premier League campaign by dispatching Brighton & Hove Albion 2-0 at King Power Stadium on Saturday. Craig Shakespeare named an unchanged starting XI from the side that faced Arsenal on Friday 11 August, but it was City who this time opened the scoring. Riyad Mahrez flew down the right flank and cut inside past Markus Suttner before seeing a shot blocked. Shinji Okazaki was alert to the loose ball and converted past Mat Ryan inside the opening minute. Further efforts came in from the Foxes, as Wes Morgan, Jamie Vardy, Mahrez and Matty James all went close at a blustery King Power Stadium. 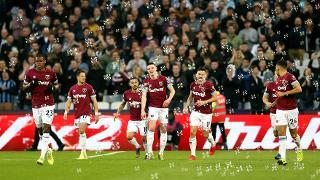 Brighton thought they had equalised midway through the first period, but after finding the back of the net, Glenn Murray’s effort was ruled out for offside. With half-time fast approaching, City were unfortunate not to make it 2-0 as Okazaki sent Vardy’s low cross into the side-netting. But Shakespeare’s men didn’t have to wait much longer for a second strike. Mahrez whipped in a delightful corner and centre back Harry Maguire rose well to head home past Ryan on 54 minutes. After another Albrighton strike was denied, this time a free kick, Kasper Schmeichel was called into action with around 15 minutes to play. The Denmark international made a low save from Tomer Hemed in the late stages to help earn his side a first clean sheet of the campaign. Shinji Okazaki celebrates his goal against Brighton and Hove Albion. On the scoresheet early on against the Gunners in City’s last outing, Shinji Okazaki was off the mark even quicker against Brighton on Saturday. His close-range finish against the Seagulls came just seconds into City’s first home fixture of the term and it certainly set the tone for the rest of the game. The Foxes were dominant from the first minute on Filbert Way and fully deserved their victory over Chris Hughton’s men. The Algerian drives forward against the Brighton defence. When he’s on top form, Riyad Mahrez is incredibly difficult to stop. After playing a major role in City’s opener, he sent in a delightful corner for Harry Maguire to head in. The Algerian was unfortunate not to score a goal of his own, too. He had two good efforts blocked, while Mat Ryan was on hand to deny him in the second period. 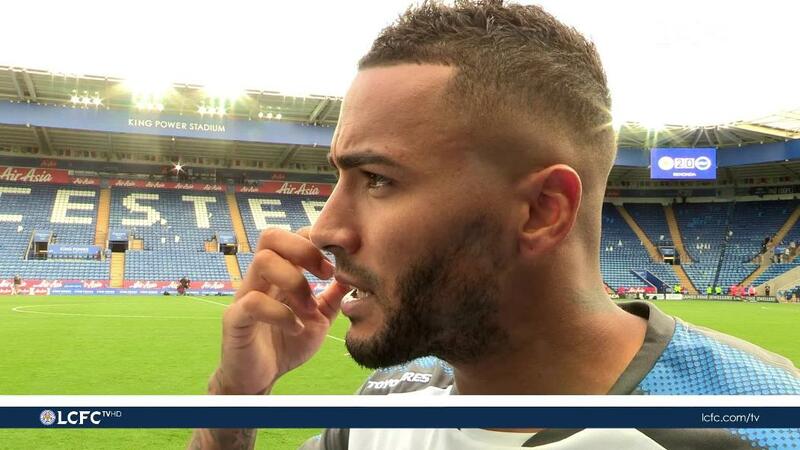 Danny Simpson says Shinji Okazaki's early goal was key against Brighton on Saturday. A maiden triumph of the term sees the Foxes, for now, move into the top half of the Premier League table, climbing four places to ninth. The 2015/16 champions are back in Premier League action in a week’s time, as they head to Old Trafford to take on unbeaten leaders Manchester United (5:30pm kick-off). First up is a Carabao Cup Round 2 tie with Sheffield United at Bramall Lane on Tuesday evening (7:45pm kick-off).